Rose Couture, a New Chypre Floral and Addictive Eau de Toilette. 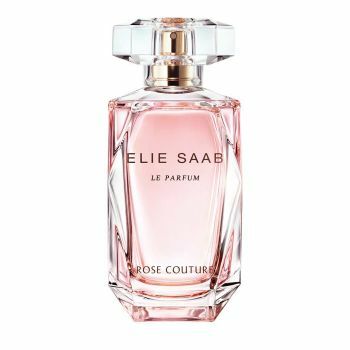 From Couture to Perfume, Rose Couture, with a new floral poetry, opens with a Peony-Rose accord. At the heart, the luminous Orange Blossom mingles with transparent Jasmine and delicious Rose Nectar. This new floral echo to the Elie Saab Le Parfum’s signature is bolstered by a base of voluptuous Sandal and elegant Patchouli. The iconic facetted bottle reveals a crystalline pink fragrance, its pastel pink box is decorated with delicate flowers.